Written by gabriele on 29 September 2017 . Posted in Wedding Galleries. The lovebirds Tipphany & Stephen decided to celebrate their Wedding in Tuscany, San Casciano Val di Pesa. The place was undoubtedly alluring and romantic. The Tuscany Castle destination wedding photographer Italy feels furniture to be in the wedding. We declare the fairy tales meet up of the Tipphany & Stephen the wedding of this season and we will never forget the emotions of these guys. The tour was certainly amazing, it seems like we are in fairy tales, and are smelling the past aura. Castle is something having a vast culture behind, traditions and history. 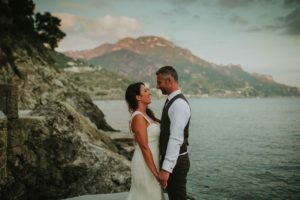 Tuscany castles are all the most intimating and amazing venue that will make your wedding day even more worth remembering. After the ceremony, we had the opportunity to shoot some portraits in the Tuscan countryside with an amazing light surrounding the bride and the groom. Then we moved to Castello il Palagio, a typical medieval castle of the 13th century located in the heart of Tuscany. Special thanks to Olive For love, amazing wedding planners, and excellent teamwork. A destination wedding is privately held, away from your city, country or home. In destination wedding usually involves few of your close friends and family members. A destination wedding and honeymoon both are celebrated at the same resort venue. 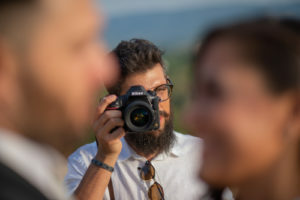 A destination wedding is held away from your home and it has many advantages, and these advantages get doubled once you avail the services of the Tuscany castle destination wedding photographer Italy who capture your each and every beautiful moment. Imagine yourself in a warm, pleasing and luxurious environment with your close friends toasting you together after recuperating the travel. The mesmerizing music and delicious foods await you. Destination weddings are more customized as every detail will be in accordance with the couple’s desire from cake to the flowers and background music. Once the wedding ends couple won’t leave the dreamy places so soon. You can stay longer and can have your honeymoon there. The ceremony is itself a small reception, where you won’t have to spend all your precious earnings, it will be a small get together, designed to bring the relievers together at one place. Surprisingly the 4 day wedding weekend will be cheaper than only the meal of 150 to 200 people. The couple looks amazingly happy and they seem deep in love with each other. The destination weddings are generally personal, so you can stay yourself away from the evil eye of the opposers or your ex. Tuscany castle destination photographer Italy feels fortunate to be the part of the wedding and utterly thankful of Tipphany & Stephen for availing the service. We wish the couple success and blissful married life and hope they will prosper in all the future endeavors.